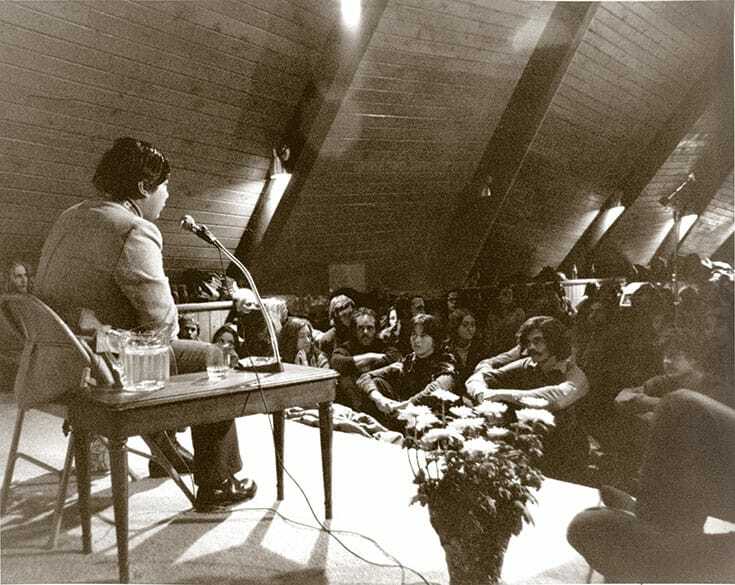 Chögyam Trungpa Rinpoche teaching in Boulder, circa 1971. 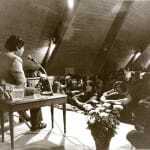 (The author can be seen just above and to the right of the flowering plant on stage.) Courtesy of Shambhala Archives. Photographer unknown.